Shower curtains are made with a durable heavy duty vinyl, with sewn in weights to keep the curtain from being blown outside the shower threshold. The creamy white curtains are an affordable choice for any accessible or standard shower. Antimicrobal, odor resistant, staph resistant and flame retardant, these curtains are a smart choice for your bathroom. 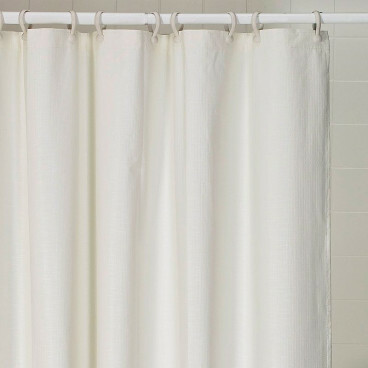 Weighted Vinyl Shower Curtains are available to fit any Freedom ADA and Accessible Showers.